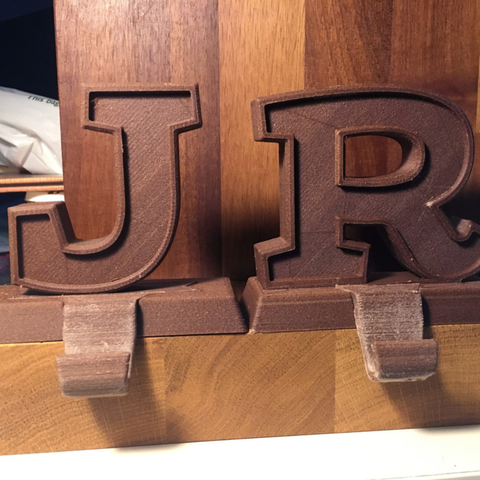 Someone commissioned me to make some Christmas stocking hangers with their initials, as they are hard to find. 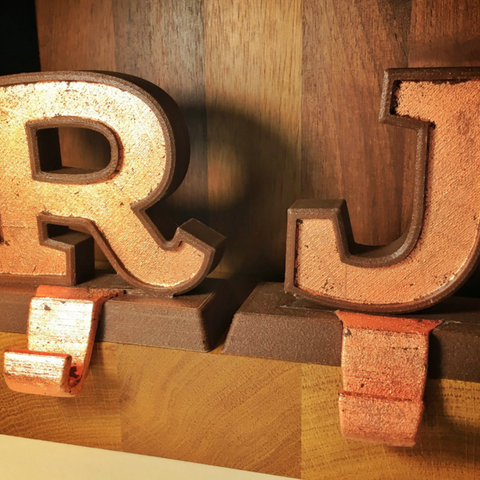 I designed the J & R as requested, and printed them in Colorfabb Corkfill finished with copper leaf gilding. As a Christmas gift to everyone I've also created all the other letters of the alphabet for you to enjoy. 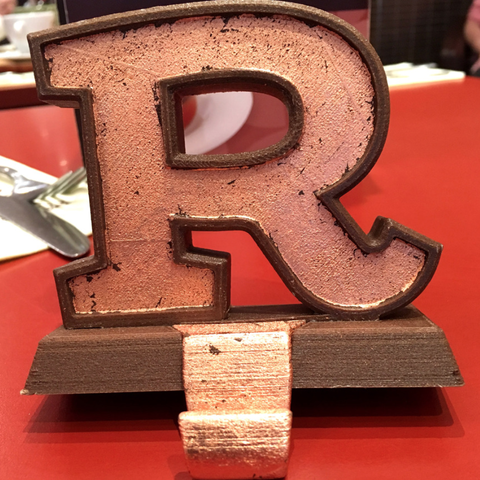 For each hanger you will need a Base + Hook + Letter of your choosing. They slot together after printing, but if you need them to be more heavy duty I would recommend gluing them together. Attach to your fireplace mantle or window sill with a 3M Command Strip or equivalent removable sticky thing. Letters are a modified version of the wonderful typeface Sreada by Elena Kowalski why not download it yourself. I printed mine at 0.25 for speed! I have included the basic plug that all the letters are connected to so you can create your own designs. It's 18mm high, so your shape should be that as well to make things match nicely. Parts slot together. Cane be glued if required. Attach to surface with a non-damaging sticky pad.